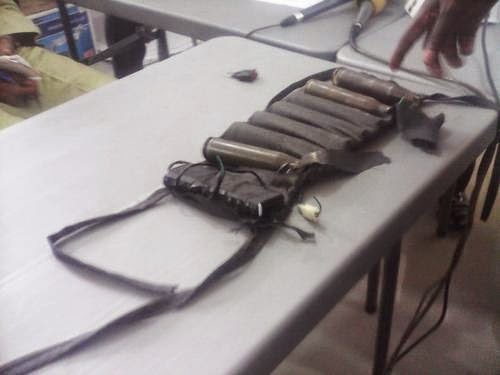 Security operatives have arrested a girl in Kano State with explosives attached to her body. 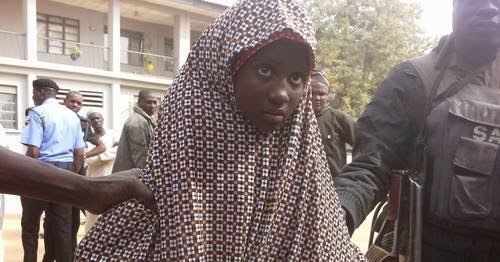 The girl, Zahra’u Babban Gida, whose age has not been disclosed, said she was unconscious until Wednesday, when she was released by the dreaded Boko Haram men and strapped to an explosive vest to go and kill people in the city of Kano. Babban Gida was arrested opposite Kantin-Kwari textile market, the scene of a major explosion two weeks ago, in which two female suicide bombers detonated explosives, killing many. Kano State Commissioner of Police Alhaji Tashid Aderile Shinaba says officers arrested the girl based on suspicion of her movements. She was later taken to headquarters for investigation, where the police were joined by operatives of the State Security Service.